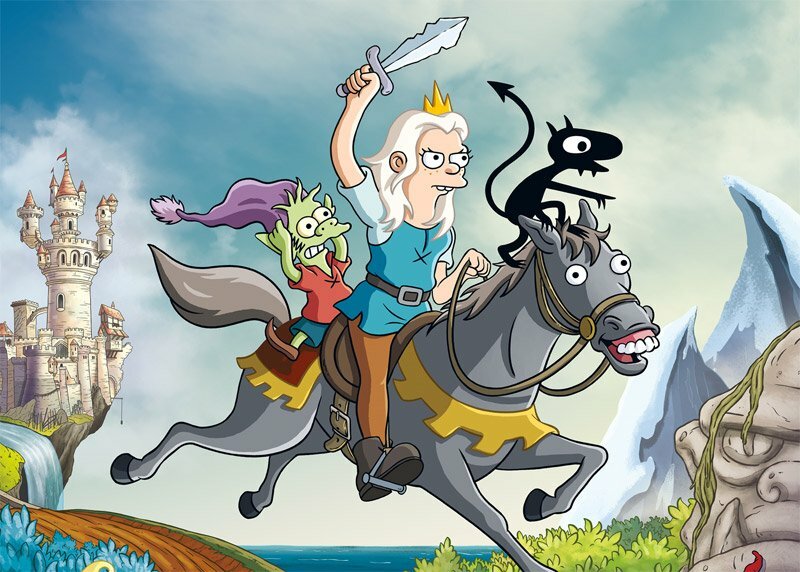 Netflix has premiered the official Comic-Con trailer for Disenchantment, the new comedy-fantasy animated series from Matt Groening (The Simpsons, Futurama). The 10-episode first season set to premiere on the streaming service on August 17, 2018. 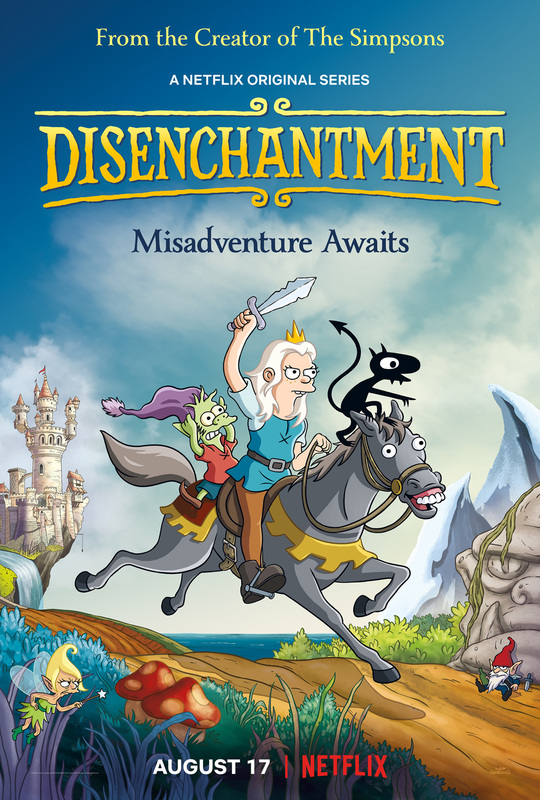 Check out the Disenchantment Comic-Con trailer in the player below, along with the new key art in the gallery! The series will feature the voice talents of Abbi Jacobson (Broad City) as Bean, Nat Faxon (Tammy) as Elfo and Eric Andre (The Lion King) as Luci. They will be joined by John DiMaggio, Billy West, Maurice LaMarche, Tress MacNeille, David Herman, Matt Berry, Jeny Batten, Rich Fulcher, Noel Fielding, and Lucy Montgomery. The animation for Disenchantment will be done by Rough Draft Studios (Futurama). Disenchantment is produced by The ULULU Company for Netflix, with Matt Groening and Josh Weinstein (The Simpsons, Futurama) serving as executive producers.